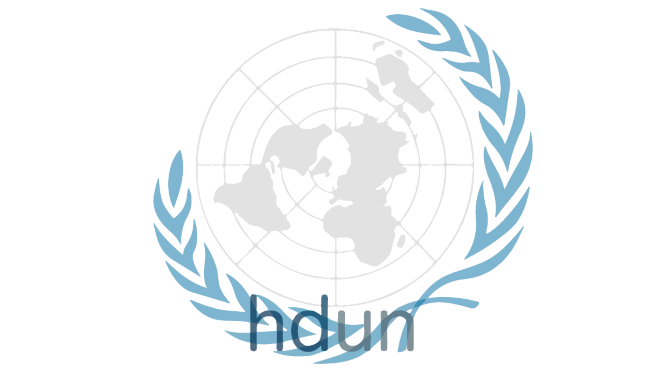 No doubt, the most powerful body of the World organization, as we like to call OUN is the Security council. There is no crisis in the world that was not discussed in that 15 member body. Of course sometimes those with power for that, can refuse to discuss about certain subject and certain situation but omission of discussion is, in political and diplomatic essence, discussion. TV cameras from the worlds news channels regularly transmit footage of the 15 solemn people while, with their assistances (more stern faces), entering the SC room to enter or refuse to enter important, for some (individuals as well as states and the whole nations) crucial resolutions. From time to time solemn people will send to the cameras (not to the camera guys, they are not important, picture is broadcasted by the machine not by the person) those seriously worried look like – now you can see weight of responsibility that I’m caring on my back. And when the solemn people pass and the doors of the SC room is closed, consultations among journalist start, what and how to report, does somebody have something more and with more flesh on it that what was strained by the solemn people. Maybe one of journalists, accidentally met one of assistances in the mission of the member state and got something confidential. Lets be realistic – there is no accidental meetings, diplomatic aids are passing by journalists with required smile, but not more that that, but they find you when they need you. And that you are needed, actually that someone is needed to convey spin of the moment, you know when smile transfer from required to friendly, sometimes more than that. Friendly, is this sense is not to make friends but we are talking about typical American artificial and forced joviality that is practiced from the childhood, and that is, more interestingly, swiftly adopted by foreign diplomats. All of that I did experience personally during crucial period for Croatia 1991.-1995. That was a time when decisions about the future of the UN missions where discussed about. It started as the UN protection forces-UNPROFOR but transform to UNCROacronym that was, because of different interpretations, not so simple to translate. Actually, that is the main topic of this column. To establish the UN peace mission consent among the SC member states is required, because only Council has legal power to approve entry of foreign troupes in the sovereign state. And, because of the lack of the unified stand-point of the SC even resolutions that are adopted can be interpreted differently. So for the USA representatives CRO in UNCROmeant Croatia and mission was to restore confidence, while for Russians that was United Nations Confidence Restoration Operation and Croatia is not mentioned at all in the acronym. For those with not so good memory Russian (and not Russian alone) polities whosbased on theory that the borders are not yet decided and that the occupied arias (UNPA) can’t be considered as Croatian territory until solution is found and all the doubts are eliminated. All doubts were eliminate and solution is found in the may and the august of the year 1995, but that’s another topic. Russian envoy in that time was current foreign secretary Sergey Lavrov who never (want or could) had that friendly attitude. Always grim or deadly serious he will approach the place where journalists are waiting and with no hesitation will light his cigarette and mutter something , like there is no consensus yet or we achieved nothing. Quite opposite was assistant of the former US envoy Madleine Albright ( always grim either and not so friendly towards journalists) Jamie Rubin who was typical example of the friendlyschool of diplomacy. With his smile carefully prepared he will usually say quite a few words with no essence, but with mandatory indications that is so much behind the words he just said as– just broadcast what I uttered, those who need will comprehend. To cut the long story short – those solemn people from the start of the column can be placed between Rubin and Lavrov – no one as grim as latter, and no one exalted as the former. Actions of the UNSC can be described by paraphrased Churchill definition of the western democracy the worst system but better is not invented yet. And for those sitting in the SC – no matter who they are and which country they represent – they will always be as the SC itself – friendly as one can be.